LAKEWOOD RANCH, Fla. (Dec. 3, 2016) - The 2016 U.S. Soccer Federation Development Academy Winter Showcase opens its third day firing on all cylinders at Premier Sports Campus Saturday. The first featured game of the day will include Weston FC (FL) vs. Vardar (MI), who will face off at noon ET, followed immediately by Real Salt Lake AZ vs. Atlanta United FC at 2:15 p.m. ET. Both U-15/16 games can be seen live on U.S. Soccer's YouTube channel, the Development Academy Facebook page and ussoccer.com. After two exciting U-17/18 featured games on Thursday, the U-15/16 age groups are ready to take the main stage on Saturday and Monday. The four teams are just a sample of the 74 academies represented at the Winter Showcase, competing in 219 games over the course of five days. 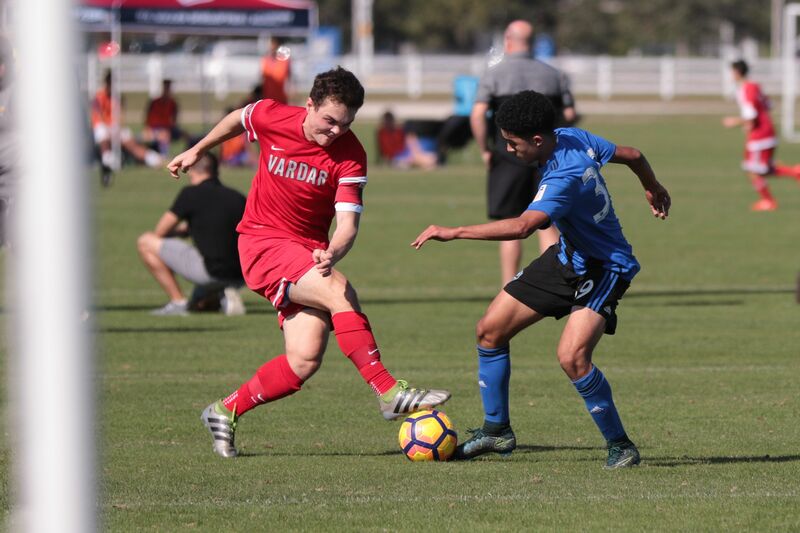 The structure of the Development Academy is regionalized during regular season play, but the Winter Showcase provides a unique opportunity for teams to play against clubs they don't usually get to see, from all across the country. Time/Location: noon ET; Premier Sports Campus in Lakewood Ranch, Fla. Style of play: Playing simple, high tempo and objective soccer. Working together organized and at a high intensity defensively and allowing the players to express themselves in the attacking third. Future goals: To continue to play and train with the objective of improving. Results, rankings, playoffs, and individual accomplishments are simply a consequence of the main objective. Academy player quality and character development goals: Character (responsibility, confidence, common sense), technical quality (overall and position specific), soccer IQ and the best physical form given their stage of maturation and genetic attributes. Style of play: Intelligent in both phases of possession and disciplined in both defensive phases. Future goals: To continue providing an educational approach to training and put as many players as possible in a position to play professionally. Academy player quality and characteristic development goals: Players with character and class, who value the ball and emphasize technique. Players who are willing to compete - fairly, but with intensity - and players who analyze the game and understand the demands of their role. All-in-all, players who can make a difference. Time/Location: 2:15 p.m. ET; Premier Sports Campus in Lakewood Ranch, Fla. Style of play: Attack-minded based on possession with short combination passing. Academy player quality and characteristic development goals: Smart, technical, savvy players that have personality on the field. Future goals: To produce individual professionals for the future. Academy player quality and characteristic development goals: Competitive players who can adapt to different competitive environments and opponents.